Panasonic TX40EX600B, 40 UHD Smart 4K LED TV with Freeview. 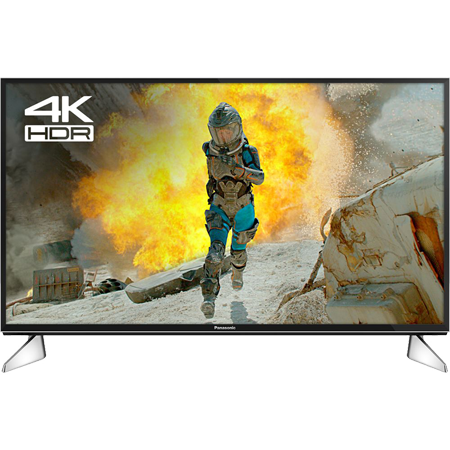 40 Inch UHD Smart 4K LED TV with Freeview. 40" UHD Smart 4K LED..
Bought this TV for a steal. For £300 you get superb quality. 4K looks amazing. And its for three hdmi ports! Love it! Excellent value for money. I had not dealt with RGB before so I checked a lot of reviews before deciding to go ahead and place my order. Based on what I had read and not knowing how impossibly busy they might be that day I avoided asking for next day delivery. At 08:41 on the third day of my standard 2 - 4 working days I had a text from the courier APC to alert me to expect the delivery between 11:41 and 13:41. The three-hour warning of the delivery I had been expecting anyway was sufficient and the two-hour window meant I didnt have to spend the whole day hanging around. The ordering process had been uncomplicated, the price was so good it brought my purchase forward by six months, delivery as specified and the tv arrived in good condition. This is my third Panasonic tv in 25 years, the quality can be taken for granted, the initial set-up is little more than a case of switching on and then making a cup of tea while it all happens. If forced, I can only think of a couple of faults. The viewing angle is not so wide as my previous flat screen LCD Panasonic... the beautiful natural rendition of colours becomes desaturated when viewed from an angle. Not a problem for me but a large family might all try to climb on the same sofa. Also I have had to buy a more flexible HMDI cable so it could bend around an obstruction just 80 mm below the array of sockets, I will swop it over now while I am thinking of it to relieve the sideways pressure of the heavy duty cable. Based on my experience this time I would have no hesitation in dealing with RGB again. Always had Panasonic TVs in our house and I can say 5 TVs on and still as good as always, if not better! A lovely bright picture and also very sharp. The thing is I dont know if my eyes are good enough for the picture. Thank you RGB once again for you top service.